Blue Diamond Almond Protein Powder: Plant-Based, Clean Taste. Almond Protein Powder is Blue Diamond’s newest innovation in almond ingredients. The Blue Diamond team is committed to doing what it does best: driving advancements in food through healthy ingredient innovation. Almond Protein Powder, the newest product from the almond experts, will surely do just that — set a new industry standard for clean, healthy, plant-based products that add value across multiple food categories. Studies show that almonds are an excellent source of protein, dietary fiber, calcium, potassium and magnesium. They have a healthy fat profile, and are cholesterol-free and gluten-free. These very nutritious attributes convey a positive, consumer-affirmed, health-halo for all almond ingredients, especially almond protein powder. In addition to its nutritional benefits, every single Blue Diamond almond is grown on a Blue Diamond grower-owned farm in California. This is key, as 83% of formulators say U.S.-sourced proteins are very important.2 Blue Diamond’s 3,000+ grower-owners’ farms are sustainability focused and utilize state-of-the-art equipment designed to efficiently nurture and harvest the best almonds possible. As the world’s largest almond grower and processor, these premium almonds are available year-round. You can find almonds in products ranging from the tastiest yogurts to the crispiest crackers. 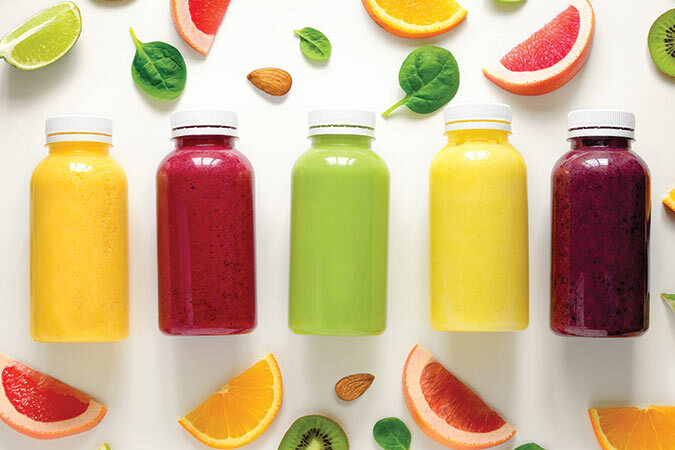 Mintel, the world’s leading market intelligence agency, identified healthy food options as one of the six key global food trends currently influencing the market place.3 Consumers are craving healthier, more natural ingredients that don’t sacrifice taste or texture — and the culinary world has taken notice. Almonds have stood out as a nutrient-packed, delicious super-food that can fill a variety of needs and keep pace with the latest consumer trends. Blue Diamond Almond Protein Powder doesn’t require flavor or texture masking like other sources of protein. Almond Protein’s taste is clean and its extra-fine texture is smooth enough for any application. When consumers were asked which type of protein they considered the best tasting, 77% listed almond protein. Having a clean taste and smooth texture allows for more versatility and less masking agents, making for a cleaner label. 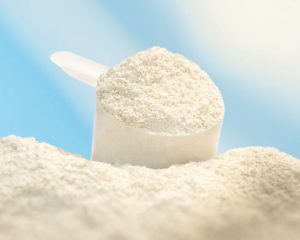 Almond Protein Powder is the ideal inclusion in health and wellness supplements, high-protein nutrition bars, breakfast cereals, protein smoothies and food service products like those that are served in popular coffee and smoothie businesses. 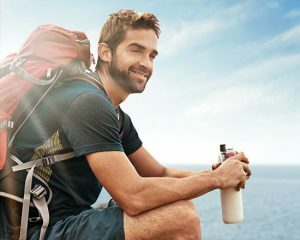 Blue Diamond Almond Protein Powder, with its preferable flavor, texture and abundant health benefits, is perfectly positioned to take advantage of ever-increasing industry trends for plant-based proteins and drive consumer purchase intent. Its mild flavor is sure to appeal to the large number of customers seeking health and wellness products with a clean taste and label. This Protein Powder will satisfy customer taste while enabling them to achieve their health and nutrition goals. 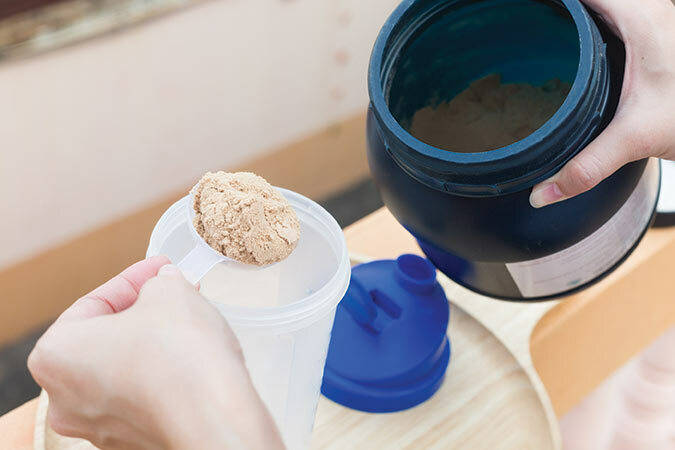 Within blends, whether as a primary or secondary source of protein, Almond Protein Powder gives product developers a nutrient dense protein choice that can neutralize the unpleasant flavor profiles of other protein options. Consumers are focusing on healthy lifestyles more than ever before. They want food that not only tastes good, but also gives them the energy they need to stay productive throughout their day. Healthy snacking has become a popular meal replacement for people on the go, with consumers snacking up to four times per day. The “Global Protein Bar Market 2017–2021” report by Research and Markets forecasts the global protein bar market to grow at a compound annual growth rate of 8% during the period 2017–2021. Many health-conscious customers choose to blend their protein supplements with a variety of fruits and vegetables to mask the taste and texture of the protein and to gain even more important nutrients. 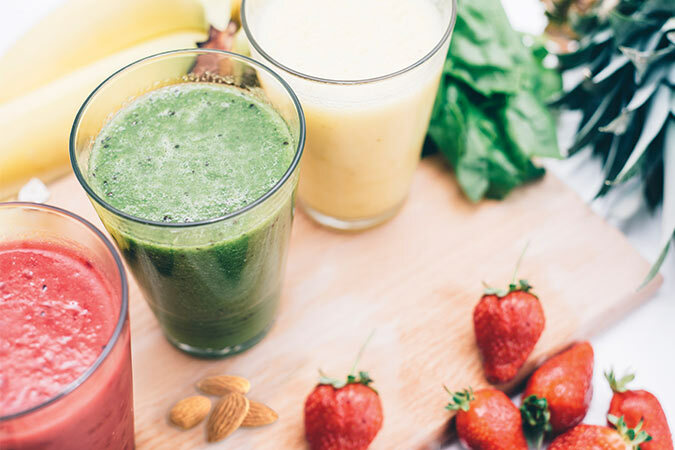 Many juice and nutrition companies have taken advantage of this fact by making their own ready-to-drink protein smoothies, nutritional drinks and shakes. Almond Protein Powder is perfect for both individual customers and large-scale manufacturers as it gives smoothies and nutritional drinks a smooth texture and a clean, subtle flavor. 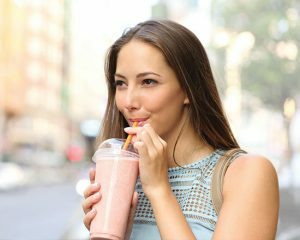 Many foodservice providers have specialty protein-based beverages available to customers looking for a meal on the go, or a healthy snack. With Blue Diamond Almond Protein Powder, you can now offer a new, plant-based protein that is recognized by consumers for its many health benefits. Aside from providing customers with protein and a variety of essential nutrients, the addition of almond protein as an option will help drive sales. Just as almond flour is a healthy and versatile substitute for baking, Almond Protein Powder is a healthy, versatile, and clean substitute for any clean label, nutritionally focused product. Why is Almond Protein Powder a great choice? Almonds are in line with the most dominant food trends of the last decade. Almond Protein Powder is no exception. This versatile, non-GMO Project Verified, California-sourced ingredient will work well in most applications. With unequaled almond supply, Blue Diamond will keep you stocked year-round. 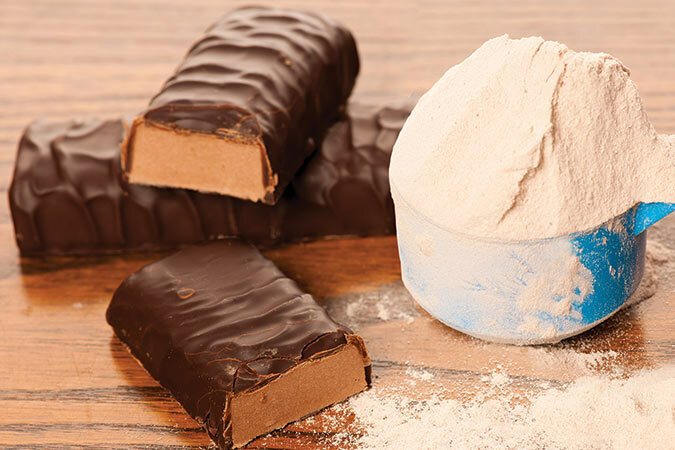 Whether you’re looking for a new protein powder supplement, a clean tasting, smooth, protein-packed addition to your smoothie, a complementary punch of protein for your snack bar, or a healthy and exciting protein option for your everyday food and drink customers, Blue Diamond Almond Protein Powder has exactly what you need. Contact us to learn how Blue Diamond’s premium, California-sourced Almond Protein Powder can add value to your product. Fill out the form below or call Blue Diamond at 916.446.8500.